New Zealand has a well-earned reputation for best-practice aquaculture production, acquired over several decades of initiating groundbreaking production methods. Our farm has taken this distinction onto another level by developing new and innovative ways to ensure each and every aspect of our operation is conducted in the most sustainable manner possible. At 947 square kilometres, Kaipara is New Zealand’s largest and most isolated body of water and our farm’s location in the central harbour ensures pristine water conditions and a large water exchange, excellent levels of productivity and vigorous water conditions. The farm site covers 76 hectares and is the only commercial operation allowed in the central harbour. 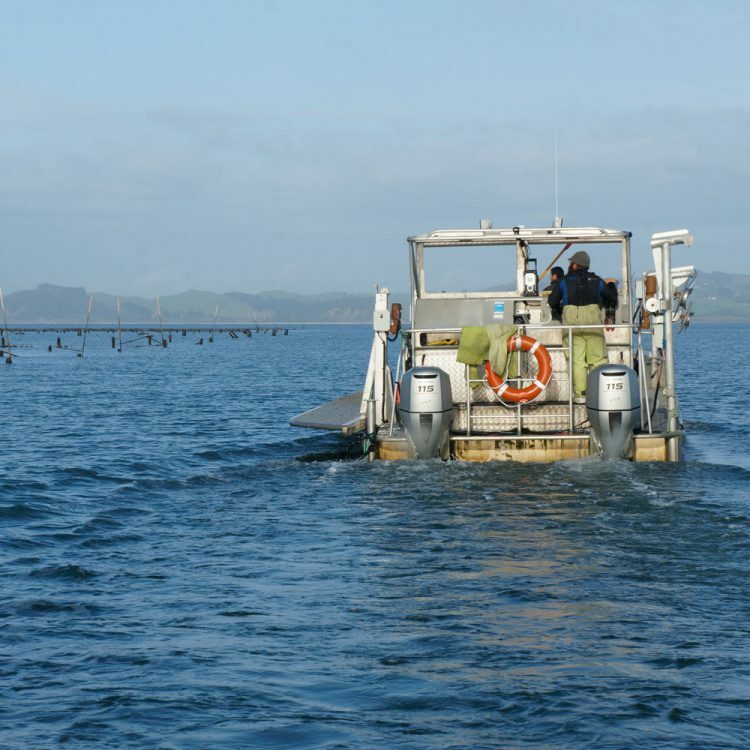 When fully developed, Kaipara will be New Zealand’s largest oyster farm, capable of producing more than 24 million oysters per year. This will increase New Zealand’s total current annual production by more than 40%. 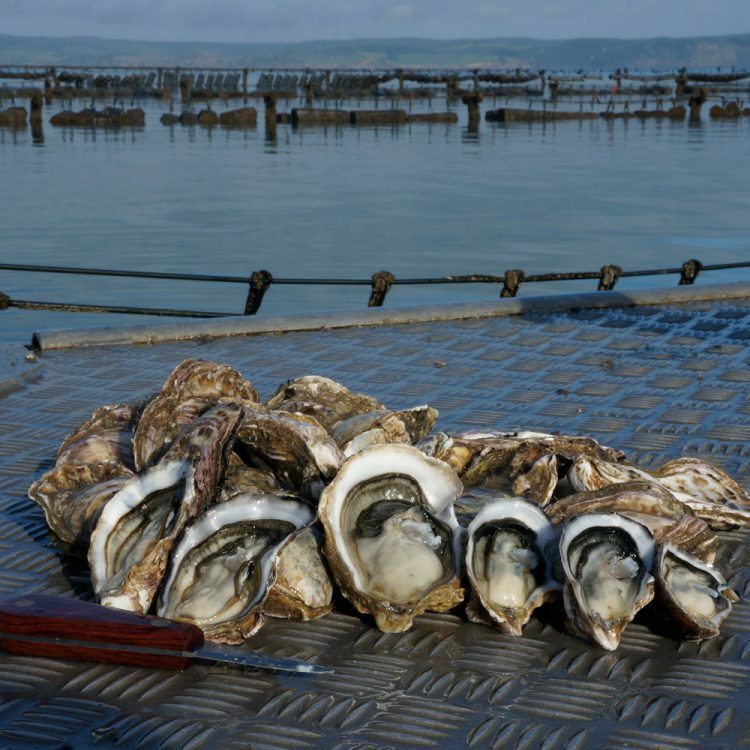 We believe Kaipara Oysters has combined unprecedented aquaculture techniques and exemplary farm and water management principals to establish a new benchmark for sustainable aquaculture production. A prime example of our strong environmental commitment came in the construction of our production area. We built the entire farm area using only materials manufactured from recycled eco-friendly materials, including plastics. We found recycled plastic offered all the strength of traditional metal and wood materials but, because it cannot rust or rot, it requires only minimum maintenance and replacement. This has resulted in less seabed disturbance. 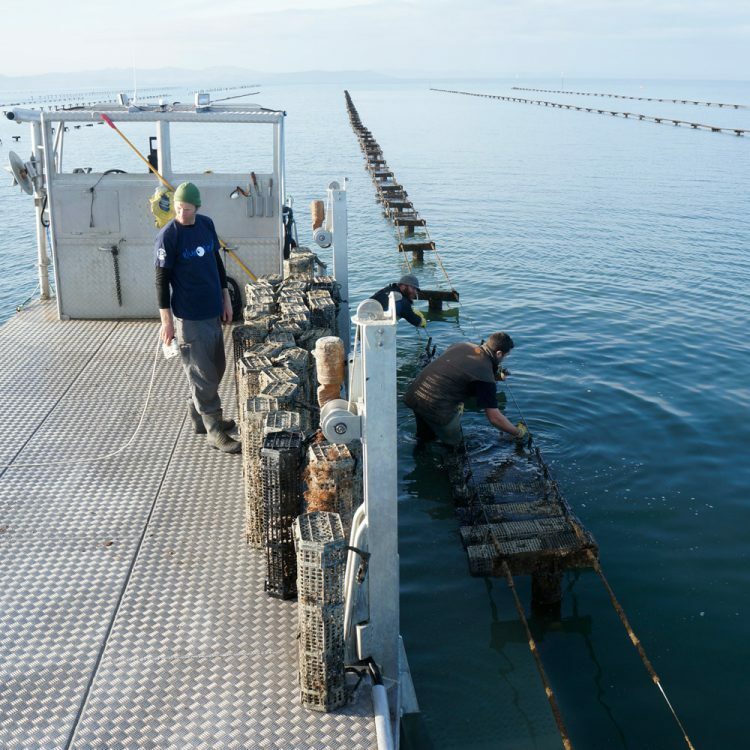 This pioneering undertaking was a world’s first for the global aquaculture industry.